This past week, I came across a very transparent article written by a believer named Cornell. He shared about how his day usually goes, especially on the bus ride home. After a work day, he likes to sit alone in his world and read or simply pray and meditate. One day, this did not happen. I was wearing the T-shirt in the photo above (right). It’s written LIVE BY THE C.O.D.E. C.arrying O.ut D.iscipleship E.verywhere. Talk about a shouting hint. He came up with four reasons why he didn’t share. (1) He didn’t want to be a killjoy, (2) he shared much about his love of certain styles of music, but also didn’t share that this was before he came to Christ—and was afraid he would compromise too much of the witness, (3) too many people listening. And lastly (4), even though he was a theology student and had preached, he didn’t know how in the day-to-day of a bus conversation with an unbeliever. We don’t know how to articulate it. We are ashamed of it because we love what men think about us more than what God thinks about us. But know this: the gospel of Jesus Christ is all that stands in the way of hell and eternal judgment for us. Receive it, it’s enough to save your soul and keep hell at bay. Reject it, and no amount of good works will be enough keep the penalty of our sin at bay. 1. Are we ashamed of the gospel—or eager for it? 14 For we know that the law is spiritual, but I am of the flesh, sold under sin. 15 For I do not understand my own actions. For I do not do what I want, but I do the very thing I hate.16 Now if I do what I do not want, I agree with the law, that it is good. 17 So now it is no longer I who do it, but sin that dwells within me. 18 For I know that nothing good dwells in me, that is, in my flesh. For I have the desire to do what is right, but not the ability to carry it out. 19 For I do not do the good I want, but the evil I do not want is what I keep on doing. 20 Now if I do what I do not want, it is no longer I who do it, but sin that dwells within me. Paul recognized that though the Spirit of Christ rested in Him because Christ regenerated and redeemed his soul, he was still in his body, his flesh. His flesh wanted to carry him in its desires one way, and the Spirit was carrying him in another way with His desires. So one of the issues Paul could well have dealt with was being ashamed of the gospel. 34 And calling the crowd to him with his disciples, he said to them, “If anyone would come after me, let him deny himself and take up his cross and follow me. 35 For whoever would save his life[ will lose it, but whoever loses his life for my sake and the gospel’s will save it. 36 For what does it profit a man to gain the whole world and forfeit his soul? 37 For what can a man give in return for his soul? 38 For whoever is ashamed of me and of my words in this adulterous and sinful generation, of him will the Son of Man also be ashamed when he comes in the glory of his Father with the holy angels” (Mark 8:34-38). Jesus warned the disciples, knowing that they all would struggle in this manner—and that all of us as believers would struggle with this. But he makes the implications clear. We are His body, and we make Him known on the earth. And if we, as His body, are ashamed of him in the midst of this sinful generation that needs Him—He will be ashamed of us. Even Pastor Timothy struggled with fear and shame in regards to the gospel and his calling. “Do not be ashamed of the testimony about our Lord, nor of me his prisoner, but share in suffering for the gospel by the power of God. . . . But I am not ashamed, for I know whom I believed, and I am convinced that he is able to guard until that Day what has been entrusted to you” (2 Timothy 1:8, 12). Why was Paul not ashamed—why was Paul to “eager to preach the gospel? In Romans 1:14, it says that he is “under obligation both to the Greeks and to barbarians, both to the wise and the foolish. . . . [and] to you who are in Rome.” An ‘obligation’ or (as some versions translate it, a ‘debt’)? What does Paul mean? It means that he is entrusted with the gospel as a steward—something that God gave for him to share. 2. The gospel serves as the power of God for salvation. 3 Do you suppose, O man—you who judge those who practice such things and yet do them yourself—that you will escape the judgment of God? 4 Or do you presume on the riches of his kindness and forbearance and patience, not knowing that God’s kindness is meant to lead you to repentance? 5 But because of your hard and impenitent heart you are storing upwrath for yourself on the day of wrath when God’s righteous judgment will be revealed. So many rely on the power of man to save them. In this context, the Jews looked down upon the Gentiles and all their practices and all their wickedness (see Romans 1:24-32), and felt a moral superiority as a Jew, since they were God’s covenant people descended from Abraham as a physical nation. They had God’s law and knew His boundaries. The difference? The Gentiles broke God’s law out of ignorance, the Jews condemn the Gentiles for doing what they themselves were doing as well. Their spiritual walk was one of sheer morality. But their morality was for everyone else—they failed to look in the mirror. What mirror? The mirror on the bathroom wall? No, the mirror of God’s Word! The gospel is the ultimate mirror. It exposes the power on which we rely. When we have surrendered to Christ and the penalty of our sin has been removed (justification), God grants a peace that passes all understanding. We have access to grace! We have joy in the hope of the glory of God! Suffering comes? We rejoice! It brings endurance, which develops character, which produces hope. How? “God’s love has been poured into our hearts through the Holy Spirit who has been given to us.” The Holy Spirit is sent by God to show us the Father, to convict us of our sin, to guide us into all truth, to regenerate us unto salvation by grace through faith, and will continue to counsel us in the days ahead. This is how we know of God’s power—it’s called change. 3. The gospel reveals the righteousness of God. So we are not saved by the power of man, nor are we saved by the righteousness of man. And notice what it says. For the righteousness of God is revealed. It is a righteousness, first, that belongs to God. Whatever righteousness or approval we may find from God originates from God and not from man. Also, notice that he does not say, “The righteousness from God is earned.” Remember the passage from Romans 5:6-8? “I have to do good things, but rely on Jesus to fill in the rest.” But Paul tells us that no one is good, not even one (Romans 3:9-10) for we must be rescued from the dominion of sin. You see, we think we have to do something to help God along, to show we are of value. I read about an instant cake mix that was a big flop. The instructions said all you had to do was add water and bake. The company couldn’t understand why it didn’t sell — until their research discovered that the buying public felt uneasy about a mix that required only water. Apparently people thought it was too easy. So the company altered the formula and changed the directions to call for adding an egg to the mix in addition to the water. The idea worked and sales jumped dramatically. We are justified by His grace as a gift. Redemption is found in Jesus Christ. The cross of Christ show’s God’s righteousness. He is just (he must demand a penalty for our sin) and the justifier (he took the penalty for our sin). Those who are once justified are justified irreversibly. As soon as a sinner takes Christ’s place, and Christ takes the sinner’s place, there is no fear of a second change. If Christ has once paid the debt, the debt is paid, and it will never be asked for again; if you are pardoned, you are pardoned once forever. God does not give a free pardon . . . and then afterward retract it and punish man . . . He says, ‘I have punished Christ; you may go free.’ And after that we may ‘rejoice in hope of the glory of God,’ that ‘being justified by faith we have peace with God, through our Lord Jesus Christ.’ . . . . In the moment they believe, their sins being imputed to Christ, they cease to be theirs, and Christ’s righteousness is imputed to them and accounted theirs, so that they are accepted. Charles Spurgeon. Quoted by Wil Pounds: http://www.abideinchrist.com/messages/rom1v16.html. 3 For I delivered to you as of first importance what I also received: that Christ died for our sins in accordance with the Scriptures, 4 that he was buried, that he was raised on the third day in accordance with the Scriptures, 5 and that he appeared to Cephas, then to the twelve. 6 Then he appeared to more than five hundred brothers at one time, most of whom are still alive, though some have fallen asleep. 7 Then he appeared to James, then to all the apostles. 8 Last of all, as to one untimely born, he appeared also to me (1 Corinthians 15:3-8, ESV). So Paul recognizes (and so must we) that the gospel is preached to us, received by us as a gift, is that by which we stand, and that by which we as Christians are being saved (1 Corinthians 15:1-2). 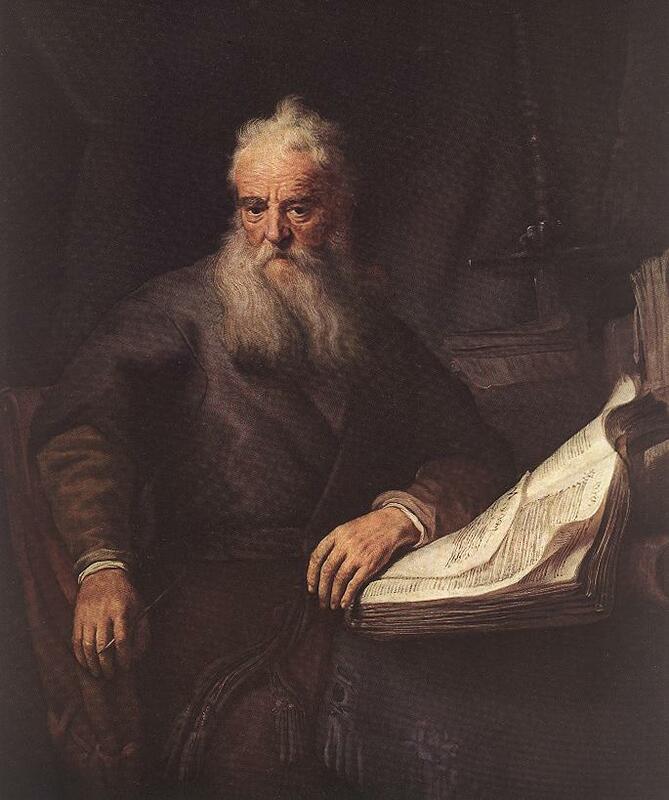 Yet, there is the concern by Paul that the Corinthians by their actions had believed in vain. Some of the Christians in Corinth were wondering what was the true importance of the resurrection. Was it really necessary? Yes! In fact, Paul begins to outline that it is of “first importance.” In other words, the gospel is not the gospel without a risen Savior—without a crucified and resurrection Christ! Again, he breaks this down into four components in his defense of the resurrection, outlined in 1 Corinthians 15:3-8. First, Christ died for our sins, according to the Scriptures. Christ’s death was necessary. He died on a wooden cross outside the camp, bearing the curse for us by becoming a curse on our behalf. In the Garden of Gethsemane, he prayed, “Father, if you are willing, remove this cup from me. Nevertheless, not my will, but yours, be done” (Luke 22:42). What is this “cup”? This is the cup of God’s wrath that is poured out on sin in judgment (Zechariah 12:2). Since Jesus had no sin (2 Corinthians 5:21), then he stood as the scapegoat, bearing the curse of the sins of the people outside the camp (see Hebrews 9-10). Christ served as a propitiation for our sins, taking the wrath that was deserved and directed toward us, and putting it on Himself as the Lamb of God who takes away the sins of the world (John 1:30). Only in this manner may Christ make us righteous before God. The prophet Jonah (whom Jesus refers to not as a myth or a fable, but as a real, historical person) serves as a foreshadowing of what would happen with Jesus. So many ask for a sign—Jesus provides one in Jonah, which in turn signifies the greater ‘burying’ in Christ who would be buried not for his own sins (a la, Jonah) but in payment for the sins of all who would believe. Peter clarifies this for his Jewish listeners in Acts 2:25-31 that this passage in Psalm 16 refers not to King David, for his tomb was clearly known to all as well as the bones it contained therein—but this was referring to another who was buried but did not see corruption or bodily decay. This is King Jesus whom David prophecied would be resurrected. Thirdly, that he was raised on the third day, according to the Scriptures. This fact caught the two disciples by surprise, but it shouldn’t have. Jesus told them in Luke 24:25-27 that this was foretold clearly in the OT. Sin kills, and since Jesus bore our sins, He died—but He did not stay dead. In those three days in the ground, he went into Hades to declare victory to those who rejected him in this life (1 Peter 3:18-21). He showed them that it was all true and that He conquered! And He came forth from the grave with that same message: victory! Death has been conquered, sin’s affects have been vanquished, and all those who surrender to Him have what He has (Ephesians 2:4-7). There is no gospel without a risen Savior and Lord. Lastly, and that he appeared … . Yes, there were eyewitnesses. Cephas (a.k.a., Peter), the disciples, and “he appeared to more than five hundred brothers at one time, most of whom are still alive, though some have fallen asleep.” He appeared to James, then to Paul (Acts 9:1-19). This was within 10-15 years of the event and Jesus’ life and ministry, which were burned into their minds. But also, with Jesus still being alive, His Spirit still worked, moved, led, and inspired their writings for a record for us (read the book of Acts, as well as 2 Timothy 3:16-17). Eyewitnesses are well and good (in fact, every NT book was written by an eyewitness to Jesus life and ministry, or was connected to one who had). But 2 Peter 1:19-21 tells us that the word of God is “more sure” than any eyewitness. But do not discount that there were eyewitnesses. Recently, I had the chance to watch a Founder’s Day service at my alma mater, Palm Beach Atlantic University, that honored Dr. Ray Robinson, who served as our choral director and helped shape the School of Music and Fine Arts into a truly Christ-centered school. It was a beautiful thing to behold being in the midst of that. In the weeks leading up to this, I was on a Facebook thread with a number of former students who were contacted to see if we could all make it to honor him. Even though I graduated from there almost 20 years ago, I remembered so many details of that life-changing, life-altering, and in many ways life-saving time, that I not only could recall details of it, I could correct anyone who may have remembered various events incorrectly. Imagine walking with Jesus for 3 1/2 years. Imagine being either for him or against him. Do you think that this man, for whom more literature and art and music has been dedicated, could remember clearly the details of this Man’s life? Some of you may reject this, saying it’s a fable or a myth. But I submit that if these things were not so, and with Paul and the apostles being so public, that each of these things would have and could have been refuted right there on the spot. Christians, by and large, are not naïve. They want to know if it’s true and are seeking out its truth. But we also know that this is a historical and spiritual book. Satan wants you to deny it, even while he knows it’s true (James 2:19) and our flesh wants to deny it in its fallen form simply because we were born with the desire to want to have authority over our own lives. If we believe the historical matters are true, then we have to deal with the spiritual matters that are just as true. We are sinners destined for judgment (Hebrews 9:27-28) and must surrender to Christ who bore the brunt and the wrath of that judgment on the behalf of all who would believe. This gospel declared and delivered also demolishes all strongholds set up against it. If you reject this, then what stronghold is holding you so strongly? Is it that reliable? Consider this gospel in the midst of your other considerations. According to Romans 3:10-12, unbelievers are not seeking after God. Only believers seek after God—those who have been regenerated. They may be searching for peace of mind, happiness, meaning in life, and relief from guilt—but that does not equate searching after Christ. They want the benefits that God can give us, but we are fleeing fast away from Him. Believing that the purpose of a worship service is to reach the lost is a key fundamental error. Worship is the corporate gathering of the people of God for worship. We should be most interested in what pleases God, not what pleases the unbeliever. “We’re still looking on Joseph’s pants.” Luther preached that in spite of the Reformation and the recovery of the light of the gospel, they were still addicted to relics. Instead of reading Scripture, they would look for relics (milk from the breast of Mary, the pants of Joseph) to give them power. The power for many today is the program! Yet, the power of the Holy Spirit is mediated through the Word, not from a program or a technique at the expense of the Word. We risk failing to see the power of the Word of God! Al Mohler notes that the language for the seeker-sensitive movement as propounded in the past is rather dated, but the logic still remains: “If you scratch people where they now itch, they will be more open to hearing the gospel.” By earning their trust in meeting their felt needs about marriage and finances, etc. It doesn’t work, because they spend time on these things, they risk not getting to the gospel. We need to treasure the fact that God has put himself and his grace on full display. And as a result, we as Christians are fully responsible to know what God has made known. It’s not helpful to you or anyone to simply know “just enough” to give us what many have called “fire insurance.” We have not had much help in truly understanding what it meant to be born again. The problem with this definition is that he (1) takes them at their word—fair enough, I suppose; but (2) as Piper notes, “slanders that precious biblical reality by saying that regenerate hearts have no more victory over sin than regenerate hearts.”[ii] For you see, based on this definition, Barna’s research seems to say that Christians have just as many problems with worldliness as non-Christians do. It’s based on outward habits (church attendance) and even feelings (Jesus is still important), but there’s no change, no transformation. Barna’s research intends to motivate Christians to greater faithfulness, but the actual result is that the world sees those who are “born again” (according to Barna’s definition) are not that different from the world, and therefore there is nothing special about being a Christian. 3For we ourselves were once foolish, disobedient, led astray, slaves to various passions and pleasures, passing our days in malice and envy, hated by others and hating one another. 4But when the goodness and loving kindness of God our Savior appeared, 5 he saved us. With the saving gospel, everything changes. Your understanding of the world, of history, of your purpose in life, and your actions which result from that Spirit transformation. Consider where you were beforehand. Paul begins by saying you were “foolish and disobedient,” meaning that you had a lack of understanding and as a result disobeyed. But then he goes deeper into the fact that you were “led astray, slaves to various passions and pleasures.” This goes deeper to show that this was not simply a flaw in our thinking, but an infliction of a Deceiver who enslaved you. Instead of a passion which sought its pleasure in Christ, the curse brought about a seeking and satisfaction in personal pleasures. Does this go deeper? Without question. The “passing our days in malice and envy” does not indicate a quick burst of sinfulness, followed by general obedience to the things of God. This phrase indicates a daily routine—a way of life of malicious and discontented behavior! The result was a mutual hatred festival by all participants! The more selfish one desired to be, the more cut off they would be from all relationships. That inner desire for a solitary control of your life will leave to a solitary existence—cut off from God, and your neighbor! You may say, “How awful an existence that is for such a person!” That’s true, it is. Yet, we must understand that this describes each of us! We may define these words in ways that make us look better, but all of us have a lack of understanding, disobey, and in our flesh are deceived. Outside of Christ, we operate based upon our own standards and passions and pleasures—even if those standards look good to a watching world! Then we say, “Wait, I’m not passing my days in malice in envy. No, I haven’t surrendered to Christ, but I’m not malicious.” Rejecting Christ is the most malicious thing you can do to yourself and to those in your circle of influence. You are going against the very reason why you were created. This salvation was not something we could drum up in ourselves, but this salvation had to appear. In verse 6, we see this salvation had to be “poured out on us richly through Jesus Christ our Savior.” Also, notice that this did not come about through the accrual of good works, but by His mercy. We also see that we are justified by grace, being recipients of the hope of eternal life. 3 Blessed be the God and Father of our Lord Jesus Christ! According to his great mercy, he has caused us to be born again to a living hope through the resurrection of Jesus Christ from the dead, 4to an inheritance that is imperishable, undefiled, and unfading, kept in heaven for you, 5who by God’s power are being guarded through faith for a salvation ready to be revealed in the last time. We must understand why people have an issue with this. There is something in our flesh that wants to do something. [i]George Barna. Accessed 30 January 2010; available at http://www.barna.org/FlexPage.aspx?Page=BarnaUpdate&BarnaUpdateID=170, quoted in John Piper, Finally Alive (Minneapolis, MN: Desiring God, 2009) ,14. [iii] David Powlison, in the Foreword to Timothy S. Lane, Paul David Tripp, How People Change (Winston-Salem, NC: Punch Press, 2006), vi-vii. [iv]John R.W. Stott, The Message of 1 Timothy & Titus, The Bible Speaks Today (Downers Grove, IL: InterVarsity Press, 1996), 201. [v]A. W. Tozer, God and Men, quoted in Francis Chan, The Forgotten God (Colorado Springs, CO: David C. Cook, 2009), 27. [vi]Michael Horton, The Gospel-Driven Life: Being Good News People in a Bad News World (Grand Rapids: Baker Books, 2009), 108. My sermon from Sunday, November 29, 2009 is up: “Got Those Highway ‘4D’ Blues? 4 D’s of a Missions-Active Church.” This sermon is from Romans 10:1-17 and kicked off our Lottie Moon Christmas Offering which emphasizes giving, praying, and going to International missions. In recent years, we have seen a number of TV dramas that eschew the traditional formula that leads to a neat resolution by the end of each episode. Instead, shows like Lost and 24 demand that the viewer stick with the program for its entire run. Plot lines have become complicated, introducing dozens of main characters and a story line that taxes the memory and the stamina of the viewer. And yet, these shows are rated highly each year and have garnered millions of fans. Is it not odd that the entertainment industry (whether through board games or television shows) is seeing success when it places high demands on the consumer? Fans of Lost talk about how nice it is to watch a show that actually expects something of the audience. Fans of Catan talk about how much more satisfying it is to win such a difficult game. Kevin DeYoung brings to light the differences between the “old gospel” and the “new gospel” being put forth by contemporary evangelicals. The New Gospel generally has four parts to it. This kind of stuff only hurts our mission to communicate the truth of the Gospel. If you think people using the word Christmas somehow makes our materialistic holiday extravaganza more pure you are probably not paying attention very well. Boycotting secular businesses that do not exhibit the kind of behavior that we think they should is the last thing that an unbelieving world needs to see. Joe Thorn led a session at the Acts 29 Bootcamp in Louisville, Kentucky a few weeks ago on “How Theology Can Kill Your Church” (audio available here) (no, it does not go in the direction you may think). Thorn values theology (after all, he led the “Pastor as Resident Theologian” breakout session at the Bootcamp). Under-developed theology leaves your church defenseless against false doctrine and heresy, and corrupts the spiritual growth of the body. We need a robust theological confession and culture in our churches. Theology is over-valued when we find our identity more in a system than in the Savior. The dangers here are often pride and pugnacity. Good theology will always give a clear picture of God and self, which promotes strong convictions and humble hearts. Compartmentalized theology is a purely academic discipline removed from Christian experience. The danger here is being satisfied with knowledge over transformation. We need “experimental Calvinists” who are not content to be right, but desire to be made right by the Spirit of God in conjunction with the truth of God. When our theology is disconnected from the gospel, all of the above dangers are likely, and additionally our preaching will be little more than moralism. Imperatives apart from the gospel tell people to “do this,” and doctrinal preaching divorced from the gospel tell people to “know this.” In both cases people are not led to the grace of God in Christ, but to their own attainments. We need theologians who can show the connection between doctrines like sin, creation, the Trinity, etc. and the life, death and resurrection of Jesus. Does the Gospel Promote Laziness or Greater Work? I was thankful to speak at the Campus Crusade for Christ meeting at Eastern Kentucky University. I preached on “A Gospel-Centered Work Ethic” from Proverbs 6:6-11 and Proverbs 26:13-16—and found how it tied in beautifully to the gospel work that Christ accomplishes and how that gospel is to be worked out in us! Here were some helpful resources that will help you dig in more. I’ll put up my manuscript from the talk tomorrow. One of the great privileges I have is coming alongside family members in helping apply the gospel in comfort as they deal with the loss of a loved one. At my preaching blog, I blogged on the preaching of funeral sermons. I pray they may be of help to you. They are things I wish someone had passed along to me as a young minister. Hey everyone! I’m currently writing from Mbour, Senegal, where we are staying until Tuesday for debriefing. This will be the last update I send out until after I get home, which will be Wednesday if I recall correctly. I know it hasn’t been long since I last updated you, but I really want to share with you what happened in the villages. On Monday, we drove to Fimala, where we hung out for a few hours before splitting into two teams and going with a local church to two different villages to show the Jesus film. The village my team went to was way out in the middle of nowhere, probably a 30 minute drive from even a paved road. It was awesome being out there and seeing more stars in the sky than I ever have. It was a completely new way for me to experience God’s awesome creation. We had a fairly significant language barrier to deal with as many villagers don’t speak French, but a native language called Wolof, which I have learned a very small amount of. But God still works. We had little bracelets with beads on them that are used to help explain the gospel and when I took some out of my pocket, I was swarmed by little kids who wanted whatever we would give them. Yanon, one of the Senegalese students, and I attempted to explain the gospel to them, but I think it went a little over their heads. On Tuesday, we went out again. Our team went to the same village the other team had gone to on Monday. I was very discouraged throughout much of the evening. I was tired and I didn’t feel like the movie was getting through to anyone, even though there had to be hundreds of people watching it. Afterwards, though, as we were tearing down, one of the staff members here and one of the church members began to share the gospel. They drew a crowd of 40 or 50 (or so we’ve guessed) and asked them if anyone wanted to accept Jesus. All of them raised their hands and stepped forward. I was in total shock and it took me the rest of the night to process what I saw. I had spent a majority of the evening frustrated that I hadn’t been able to talk to anyone and feeling pretty useless and discouraged at what I thought was about to be a fruitless exercise. God reminded me that He doesn’t need me and that He is in total control. I really believe that my discouragement was from Satan and I know now why he was trying so hard. I have seen God work in amazing ways during my time here and I look forward to returning home to tell all of you more about it. I would not have been able to come here if it were not for your help in finances and prayer however, so I want to thank all of you from the bottom of my heart for that. God has worked here, not only through our team, but also through each and every one of you. My prayer is that all of you have been encouraged by what God is doing here in Senegal. Thank you all so much and I’ll speak to you again in about a week. It can be discouraging trying to witness–so much so that this may be why many have given up on this blessed task! And that’s what Satan wants you to do–to be deceived that you cannot make a difference as a Kingdom child. But we must know God’s ways–and be aware of the schemes of the devil. Stay the course, be obedient! Spread His glory from our neighbors to the nations!